Combo1 - Gives Panda the ability to use its normal attack's second combo. Combo2 - Gives Panda the ability to use its normal attack's third combo. Combo3 - Gives Panda the ability to use its normal attack's forth combo. Combo4 - Gives Panda the ability to use its normal attack's fifth combo. roll1 - Roll and evade attack. Remove all movement's negative status that is lower than Lv3. roll2 - Roll and evade attack. Remove all movement's negative status that is lower than Lv5. 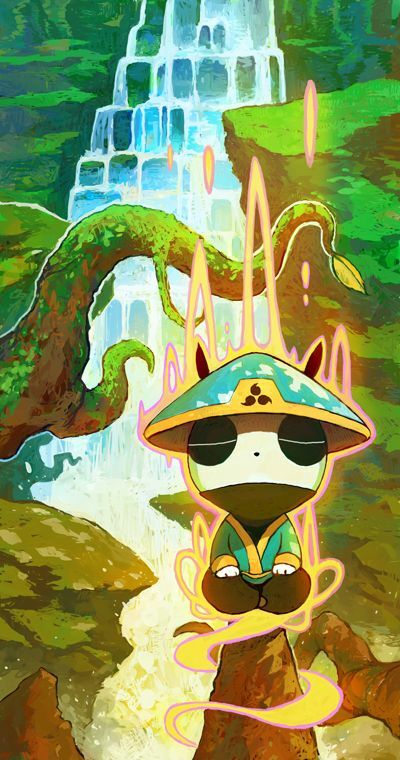 Resistance1 - Gives Panda a 8% chance to nullify any negative status. Resistance2 - Gives Panda a 12% chance to nullify any negative status. Resistance3 - Gives Panda a 16% chance to nullify any negative status. Resistance4 - Gives Panda a 20% chance to nullify any negative status. StatPlus1 - Increases all basic stats by 2 points. StatPlus2 - Increases all basic stats by 2 points. StatPlus3 - Increases all basic stats by 2 points. StatPlus4 - Increases all basic stats by 2 points. 18thGate - Panda's ultimate attack. QiStrike3 - Charge up and unleash a destructive forward punch. (3.0 x atk. DelayQi - Enables Panda to hold his QiStrike and release it later when you press attack (max 3 sec). Pummel2 - Instantly perform a quick back attack that deal 15 damage and 10 ko. TowerRush2 -Instantly perform a quick back attack that deal 30 damage and 20 ko. TigerToss1 - Instantly grab and toss target with small or medium size, dealing 15 damage and 3 ko. TigerPounce1 - Adds a second hit to TigerToss, dealing target's weight and 10 ko to all nearby enemies. ClimblingCliff1 - Enables Panda to use TigerToss on any large target and change it to a climbing attack. ClumblingMountain1 - Gives Climbing Cliff its final attack when Panda uses it with more than 40 sp. ComboPlus1 - Temporary increases Panda's attack by 1 everytime he hits with a normal attack or a StikeMaster skill (max +10 atk). ComboPlus2 - Temporary increases Panda's attack by 2 everytime he hits with a normal attack or a StikeMaster skill (max +20 atk). ComboPlus3 - Temporary increases Panda's attack by 3 everytime he hits with a normal attack or a StikeMaster skill (max +30 atk). ComboPlus4 - Temporary increases Panda's attack by 4 everytime he hits with a normal attack or a StikeMaster skill (max +40 atk). RisingVortex1 - Perform a spinning uppercut punch that pull nearby enemies toward Panda (10 dmg). RisingVortex2 - Perform a spinning uppercut punch that pull nearby enemies toward Panda (20 dmg). RisingDragon1 - Perform a series of upward dragon attacks (5x8 dmg, 60 dmg). RisingDragon2 - Perform a series of upward dragon attacks (10x8 dmg, 90 dmg). 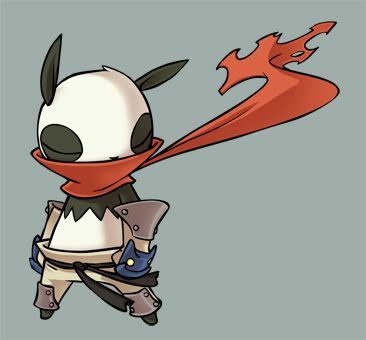 FocusedSpirit1 - Passively add 30% of Panda's current sp to its normal attack's damage. FocusedSpirit2 - Passively add 60% of Panda's current sp to its normal attack's damage. FocusedArt1 - Passively add 50% of Panda's current sp to all of its StikeMaster skills damage. FocusedArt2 - Passively add 100% of Panda's current sp to all of its StikeMaster skills damage. 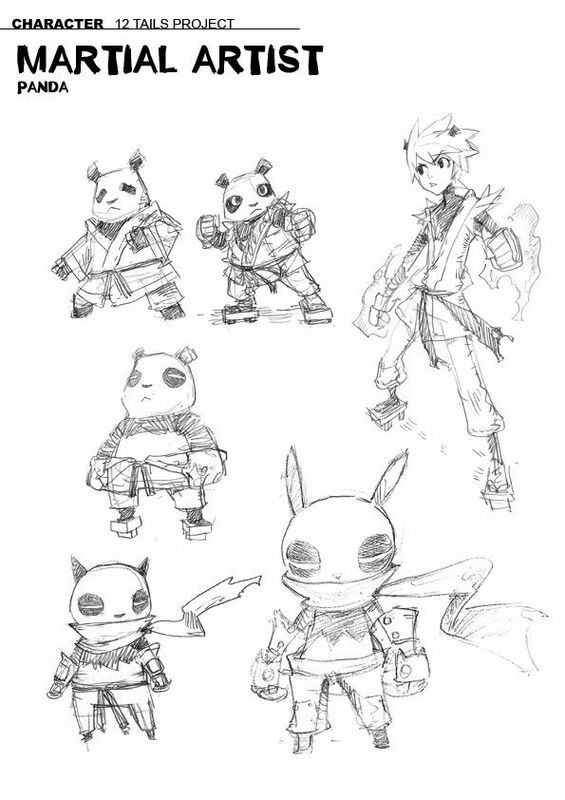 Ashura1 - Temporary transforms Panda into a lv.1 ogre form with a special charge attack. Ashura2 - Temporary transforms Panda into a lv.2 ogre form with a special charge attack. DrunkenFist1 - Perform a druken spin that deals damage to enemies in front (3x3 dmg). DrunkenFist2 - Perform a druken spin that deals damage to enemies in front (6x3 dmg). DrunkenPlus1 - Adds 'drunken1' status to Drunken Fist, giving Panda and its target a 10% evasion chance and a 10% decrease in damage. DrunkenPlus2 - Adds 'drunken2' status to Drunken Fist, giving Panda and its target a 20% evasion chance and a 20% decrease in damage. WaterMonkey1 - Perform a punch that has a 50% evasion chance and deals 5 damage and 5 ko to enemies in front. WaterMonkey2 - Perform a punch that has a 50% evasion chance and deals 10 damage and 10 ko to enemies in front. WaterCrane2 - Perform a jumping kick that has a 50% evasion chance, dealing 20 damage to all enemies around Panda. DeathBlow1 - Perform a deadly attack that has a 10% chance to instantly kill the target. Success rate also depends on target's current hp. DeathBlow2 - Perform a deadly attack that has a 15% chance to instantly kill the target. Success rate also depends on target's current hp. ShadowFist1 - Gives Panda's normal attack and all SageFist skills, a second hit with 3 effect damage. ShadowFist2 - Gives Panda's normal attack and all SageFist skills, a second hit with 6 effect damage. ShadowFist3 - Gives Panda's normal attack and all SageFist skills, a second hit with 9 effect damage. ShadowFist4 - Gives Panda's normal attack and all SageFist skills, a second hit with 12 effect damage. SpTransfer1 - Transfer 15 sp from Panda to any friendly target. SpTransfer2 - Transfer 30 sp from Panda to any friendly target. SacredSageTechnic1 - Enables Panda to refocus his over-charged sp into 100 hp. SacredSageTechnic2 - Enables Panda to refocus his over-charged sp into 150 hp. Wind&Cloud1 - Perform a series of soft attacks that have 30% evasion chance and deal 3x9 damage to enemies nearby. Wind&Cloud2 - Perform a series of soft attacks that have 30% evasion chance and deal 6x9 damage to enemies nearby. Rain&Storm1 - Perform powerful spinning kicks that have 30% evasion chance and deal 15x3 damage to enemies in range. Rain&Storm2 - Perform powerful spinning kicks that have 30% evasion chance and deal 30x3 damage to enemies in range. LotusPalm1 - Perform an aura attack that deals 30 damage to a target from a distance. LotusPalm2 - Perform an aura attack that deals 50 damage to a target from a distance. HeavenPalm1 - Perform an aura attack from a distance, dealing 25x3 damage to all targets in the area. HeavenPalm2 - Perform an aura attack from a distance, dealing 40x3 damage to all targets in the area. MysticSage1 - Passively creates a double that takes half of 100 or more damage for Panda every 12 seconds. MysticSage2 - Passively creates a double that takes half of 100 or more damage for Panda every 6 seconds. AuraBurst - Changes the final combo of Panda's normal attack to an area attack. NoneStep - Passively increases damage of ThreeStep and RushingFalcon by the number of its own hit. drunkenSpin - Adds 6 damage to drunkenFist and enables it to inflict 'drunk' status that reverses other player's movement. RevisedSkill - Reduces all skills' sp consumption by 50%. 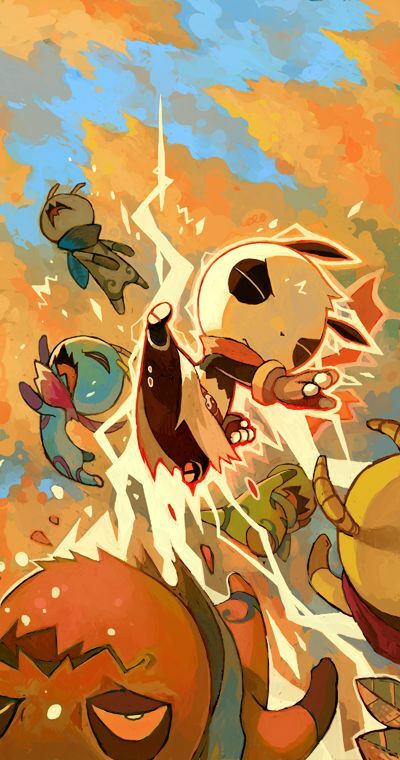 AuraField - Enable Panda's sp charge to effect all allies around him, restoring 20% sp to them. QiBurst - Enables QiStrike to unleash a giant fist that deals its damage in 6m line. Also extend delayQi by 3 sec. timeAndTide - Increases waterMonkey and waterCrane's damage and chance to evade other attacks by 50%. RevisedMagic - Reduces all skills' mp consumption by 20%. RollAround – Perform a special controllable roll that evades most attacks. Also helps remove all lv.5 lock status. OgreImpact - GIncreases Pummel and Tower Rush's damage and range with a red ogre effect. WindWalker - Gives StasisBlow and DeathBlow the ability to warp Panda to target's location. Also double DeathBlow's chance of inflicting death. RevisedArt : Reduces all skills' cooldown by 12%. SafeGuard - Gives Panda the ability to passively nullify one negative status every 3 minute. CrushingMonolith - Greatly increases ClimbingMountain's damage based on its target's height. SpiritFist - Increase effect of ShadowFist by 16% of Panda's lv. And increase the range of 'Sage' skills for 1m. 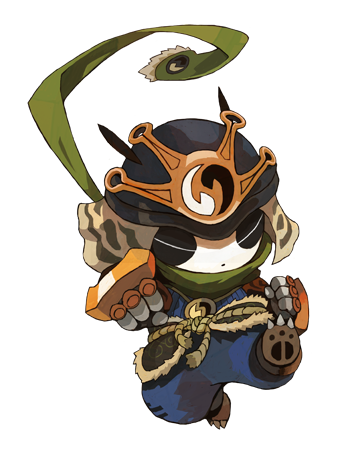 Fujinken - Perform a powerful tornado kicks that continuously pull and deal damages to enemies around Panda. SuperStatPlus - Increases all basic stats by 10 points. HeavenBreath - Increase SacredSage and SpTransfer's effects by Panda's current level. Raijinken – Charge up and perform one powerful thunder kick from a long distance, damaging targets in wide area.